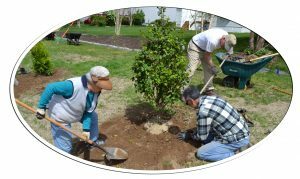 Delaware’s Urban and Community Forestry Program offers a range of technical and financial assistance programs to help municipalities, nonprofit groups, community associations, and homeowners to plant and care for their trees. The Delaware Forest Service has full-time forestry staff who assist cities, towns, and communities with the management and care of their urban forestry resources. These foresters can help guide your community in developing a management plan for its publicly owned forests (such as city or county parks, street trees, etc.). Foresters are able to do sick tree calls, answer tree questions, and make species and placement recommendations. Our staff also works with developers, planners, and engineers to help educate these individuals on methods to preserve trees during the development process. Your trees are a valued resource; don’t trust their care to just anybody. Hire an International Society of Arboriculture (ISA) certified arborist. An ISA-certified arborist is specially trained to care for individual trees. Tree work should only be done by those properly insured, trained,and equipped to work safely in trees. The Delaware Urban and Community Forestry Program is offering grants up to $5,000 for tree planting projects on public land or to help communities complete a professional tree inventory. The competitive grants – open to all municipalities, homeowner associations, and certified 501(c)(3) non-profits in the State of Delaware – require a 50-50 match in either cash (non-federal funds) or in-kind services, which includes volunteer or staff time, equipment rental, or supplies. Requests can range from a minimum of $500 to a maximum of $5,000 in one of two project categories: tree planting or tree management (professional tree inventory only). Interested applicants must schedule a site visit with Delaware Forest Service urban forestry staff before applying and submit their application using the online form. As part of its mission, several informative publications, resources, and links are available to help with proper planning and developing effective strategies for tree planting, care, and management.